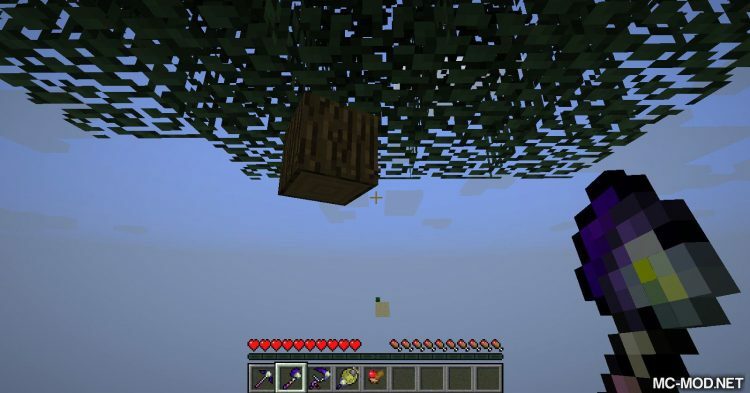 Tinker’s Skyblock Mod. 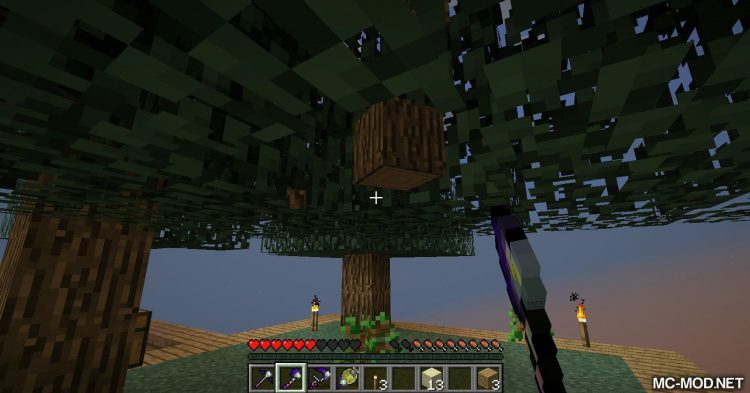 You like playing Skyblock but hate to sit down for hours to cut trees for Wood? 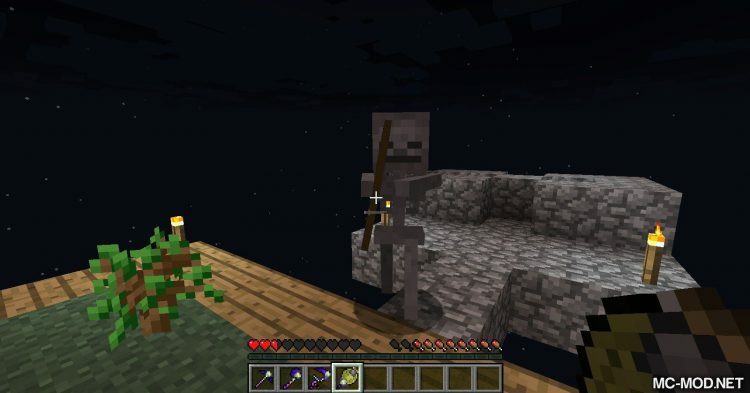 Or have to wait for hours to have enough Cobblestone for building stuff? 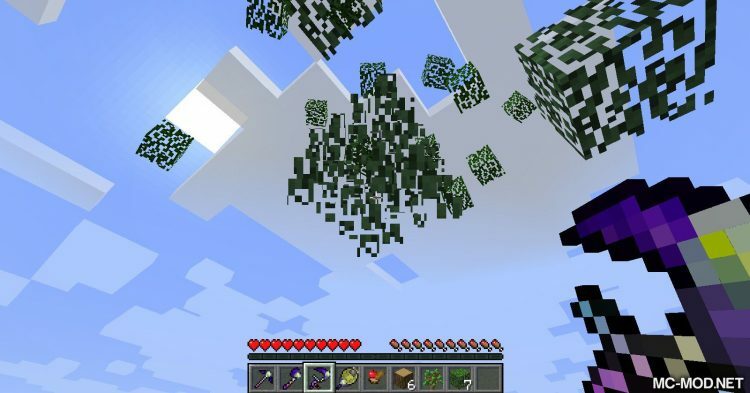 As the name has suggested: Tinker’s Skyblock is a dedicated mod for Skyblock players. 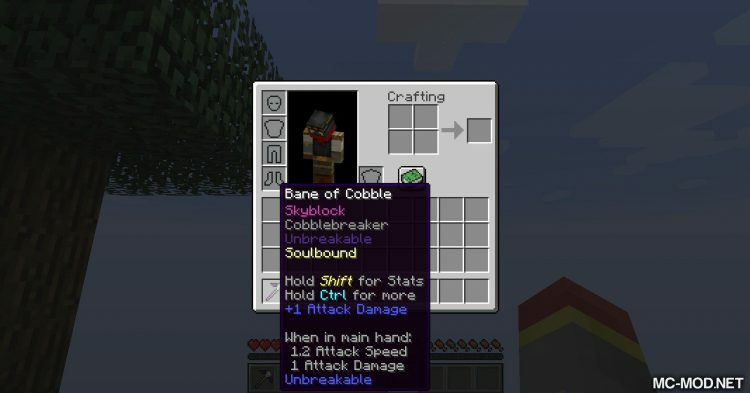 Bane of Cobble is a Pickaxe specially created for exploiting Cobble. 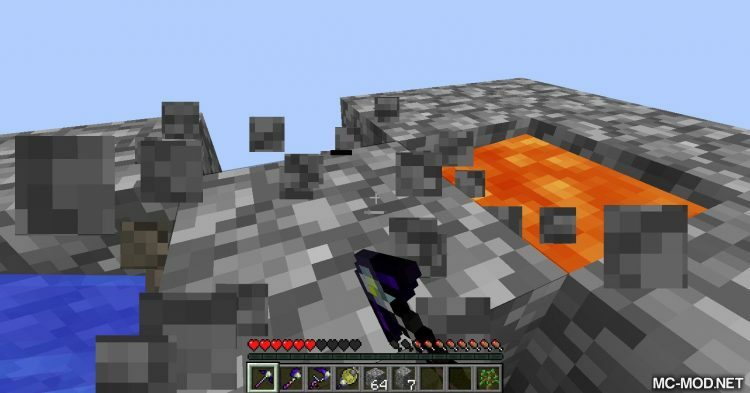 With unlimited durability and super speed, this Pickaxe will helps you collect Cobblestone quickly and efficiently. 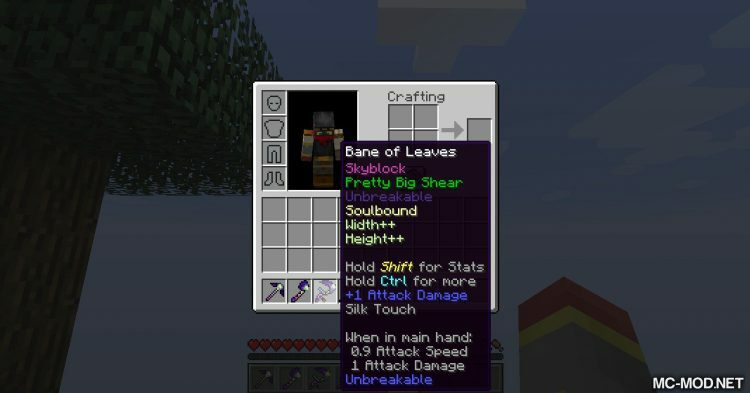 The axe specially created for cutting trees. 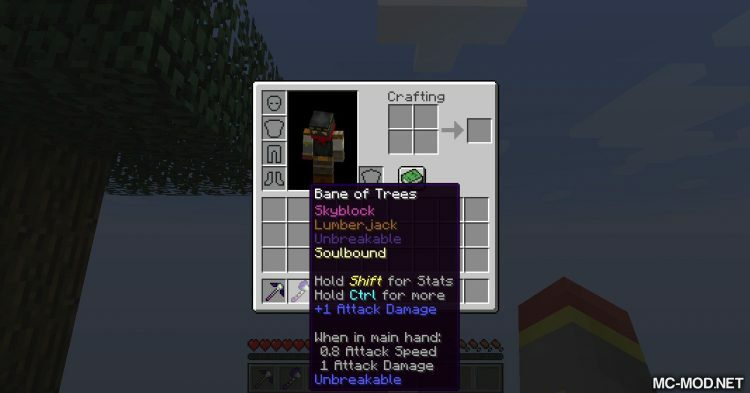 This axe also have unlimited durability and only with one chop at the root, the whole tree will fall! It is a very special item. 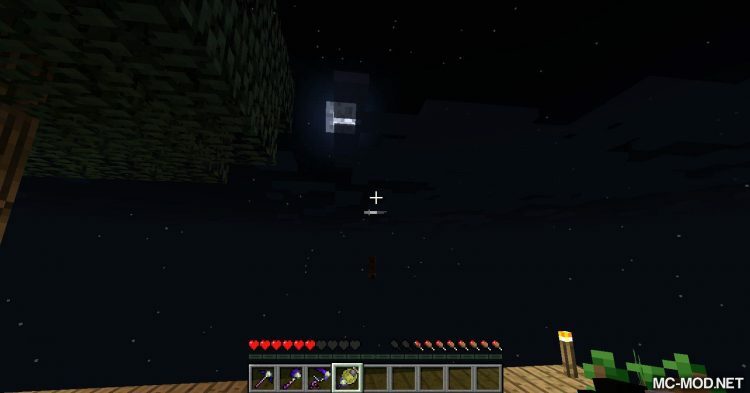 It is a scythe but acts as a scissors in Minecraft but it can not be break and can cut leaves with high productivity. 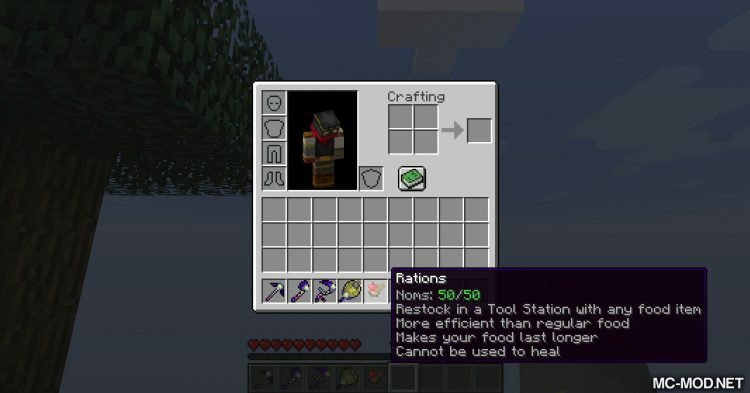 Be careful when using this thing because you will not get Sapling when using it on Leaves! 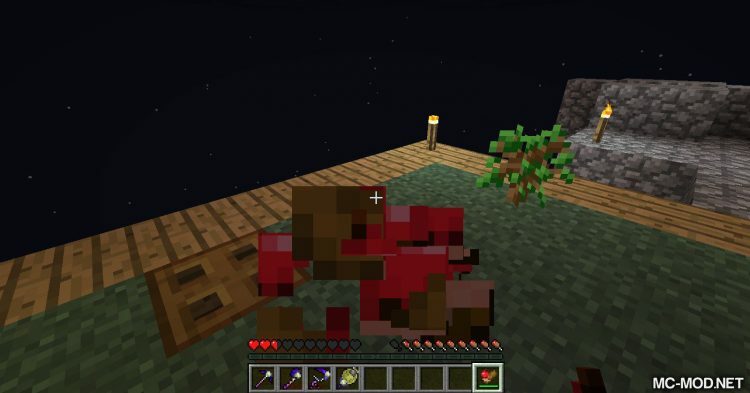 I honestly do not know what this is besides being a very good self defense weapon in Skyblock because of it’s Knockback X effect that comes with it will help you defeat any monsters. 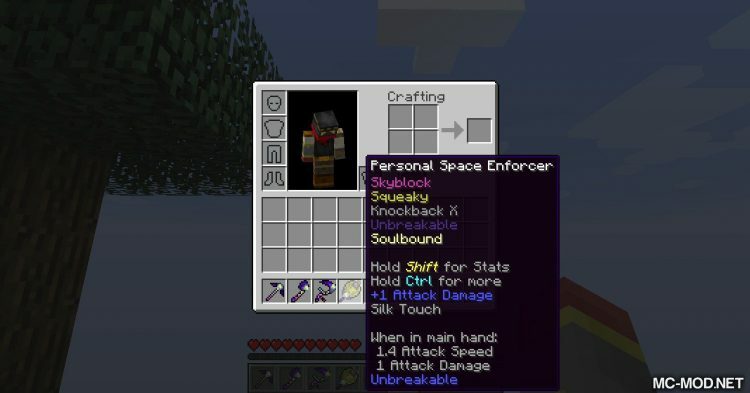 Like every other items of the mod, Personal Space Enforcer have unlimited durability, so you can use it without worry! The special thing about these 4 items are their Soulbound effect, which mean even if you die you will not lose these 4 items.